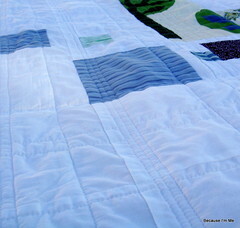 The above image is the back of the quilt. I love both sides of this one, but the back just makes my heart skip a beat. 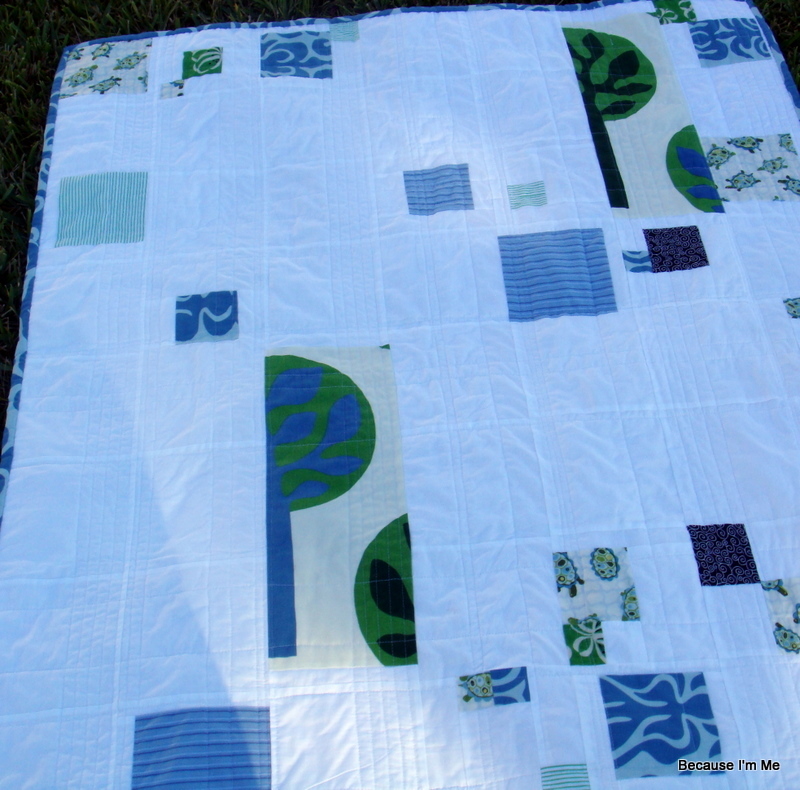 The tree fabric and the two-toned blue fabric are from Ikea. They were sitting on the shelf just begging, truly begging to be used in a quilt. Here's the front. 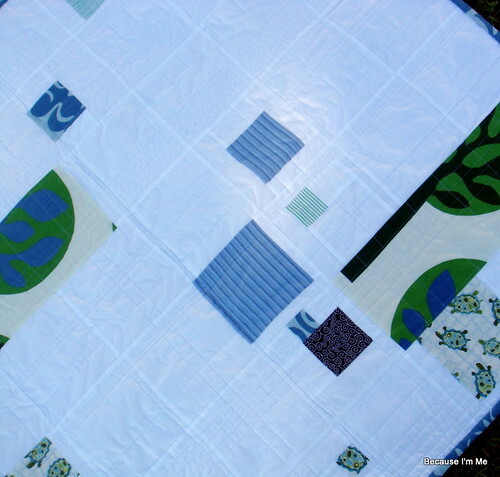 Lots of white with blue squares and rectangles thrown in for spots of pattern and color. I really like the tree fabric! 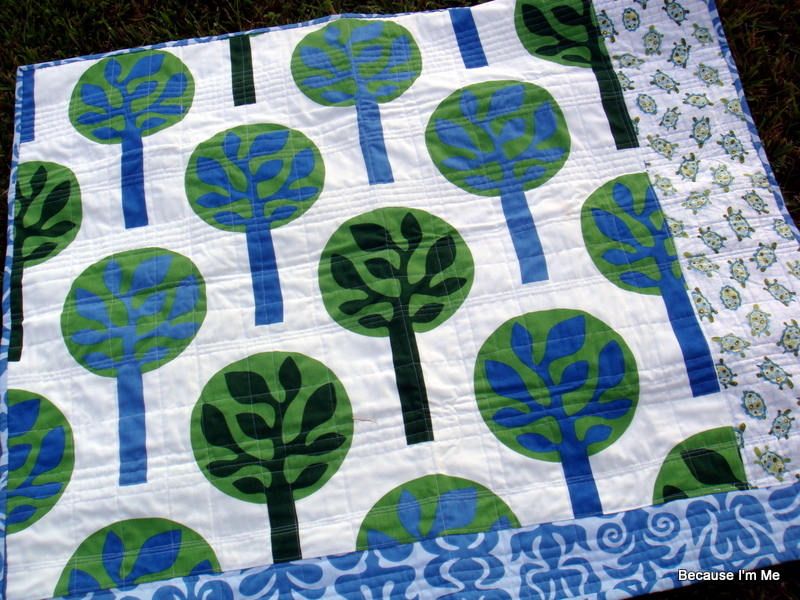 OOOO, I really like that tree fabric too. ohh....I'm loving that one too. The modern front and the awesome tree fabric on the back. DANG...I wish it was cooler here so I needed more than one blanket for my kids beds! 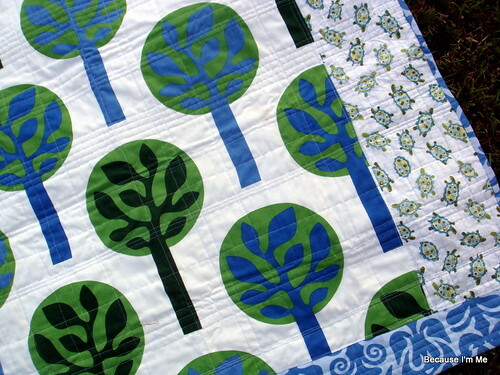 That tree fabric is insanely cute! And I really like the way you quilted it. I'm gonna file that away in my inspiration folder. Thanks for sharing! wow! what a GREAT quilt! glad I found your blog site! I'm having lots of fun looking at all your stuff! !